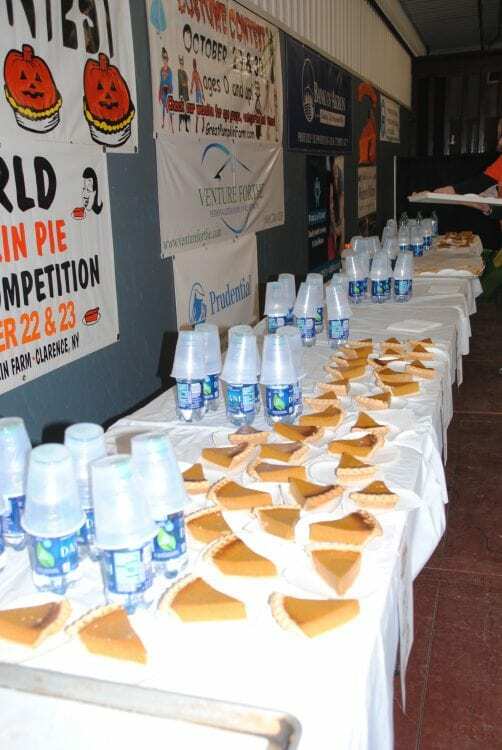 This weekend will feature a World Pumpkin pie eating competition. 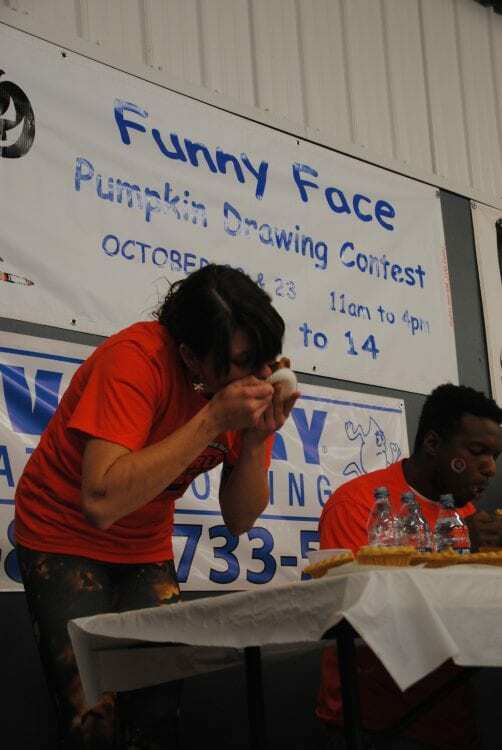 Watch professional eaters try for the world record of eating pumpkin pie. 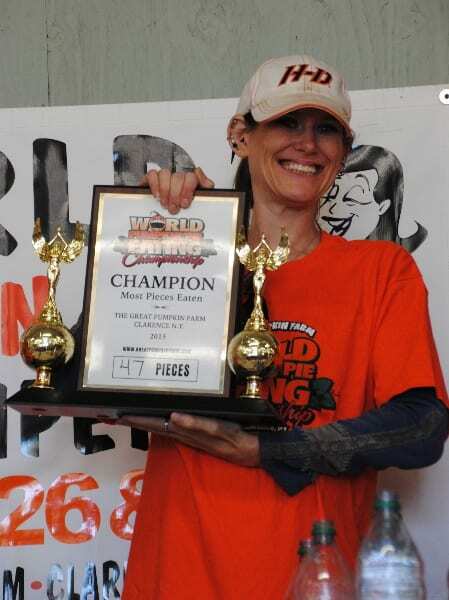 2018 Winner “Molly Schuyler” ate 44 pieces in 10 minutes! You can feel it in the air can’t you? 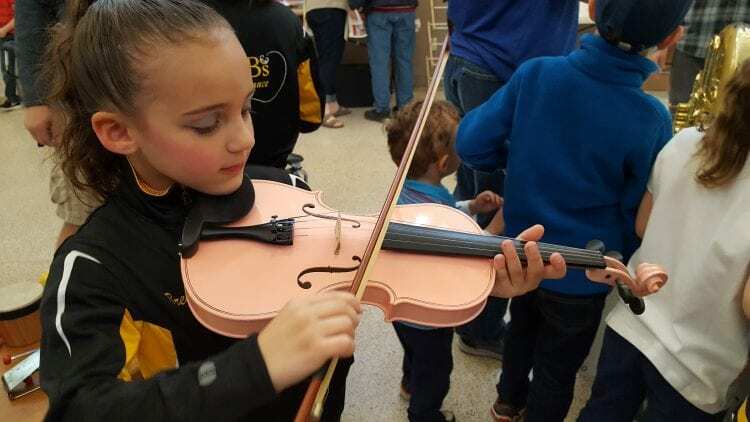 That’s right, the great colors, smells and sights of Autumn and the excitement and fun associated with a traditional fall time festival. 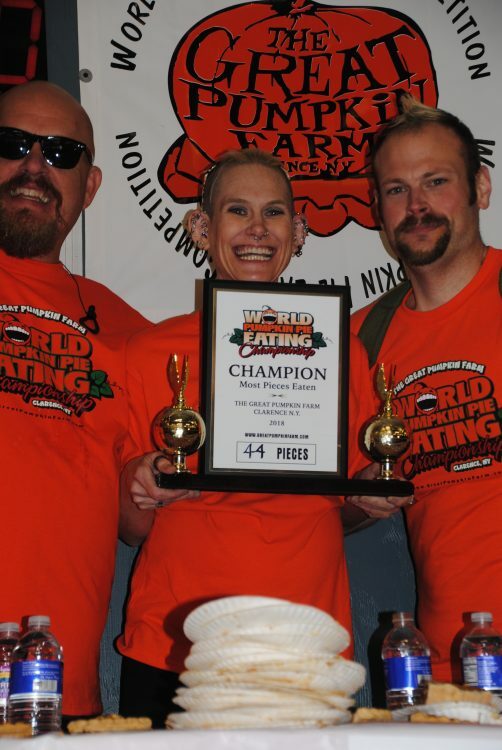 The Great Pumpkin Farm is so excited as they get ready for the big showdown during the Great Pumpkin Farm World hands-Free Pumpkin Pie Eating Championship on Saturday, September 28, 2019 . 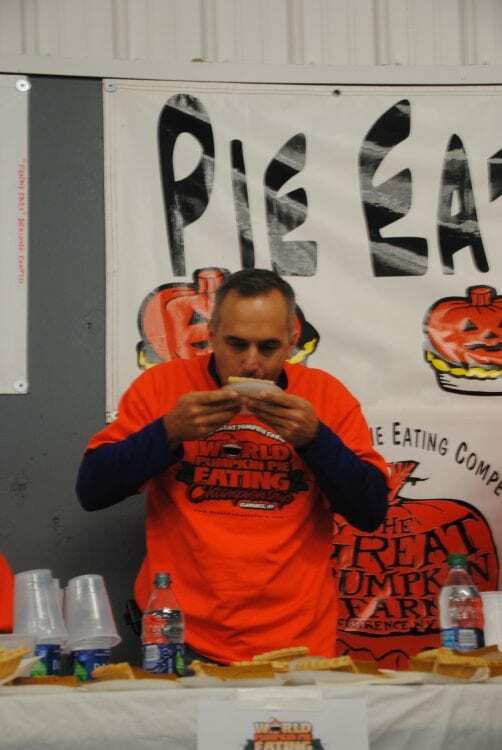 General Contest Format/Rules: “Last Food Warrior Standing” followed by a Speed Eating component to determine the winners. Picnic style rules apply in regard to the use of water and Food Mutilation. 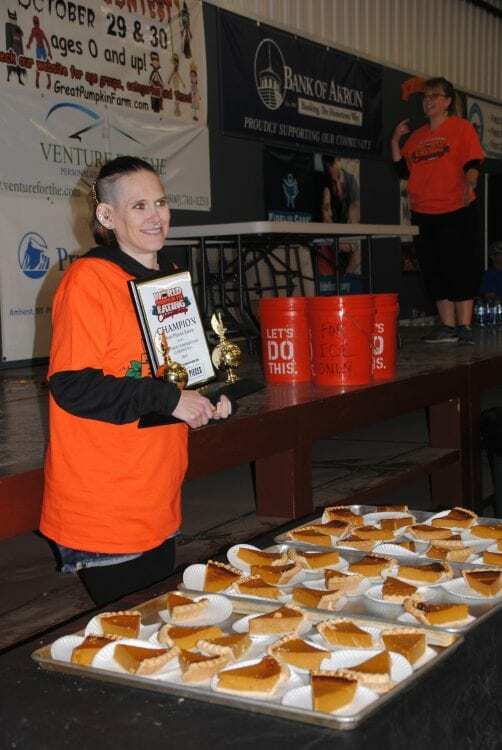 -Food Warriors will be allowed to manipulate the paper plate as long as they do not use their hands or use the plate to squeeze or disfigure the precious Pumpkin Pie.